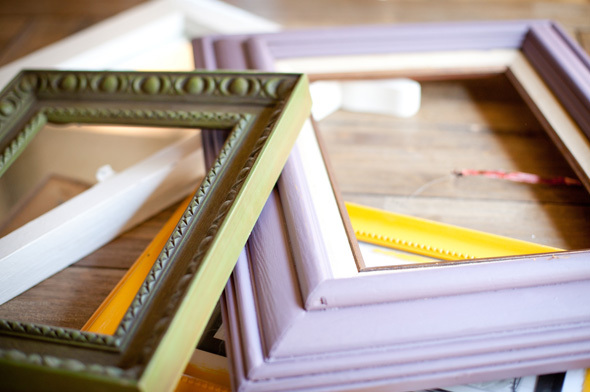 While I’m away on vacation, Amie has kindly stepped in to post some DIYs for their upcoming rustic shabby chic wedding—which happens to be just 3 months from today! Follow all the Pankratz wedding adventures here. Hi guys! This is Amie — Sam is my wonderful Matron of Honor for my upcoming wedding this November. I know she’s mentioned my upcoming nuptials on her blog before, so I was honored when she asked me to share with you guys while she is away touring the Northeast! 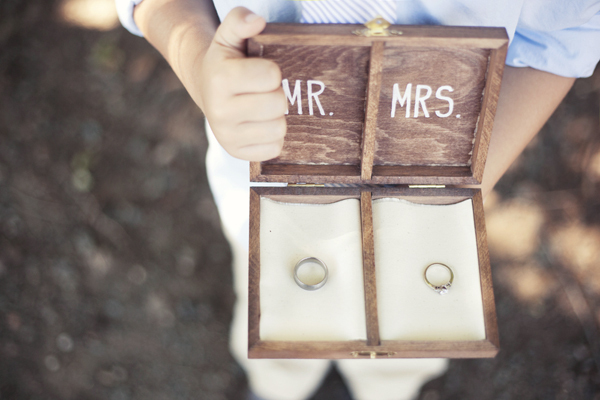 Here are five fun DIY projects I plan on making for the wedding. 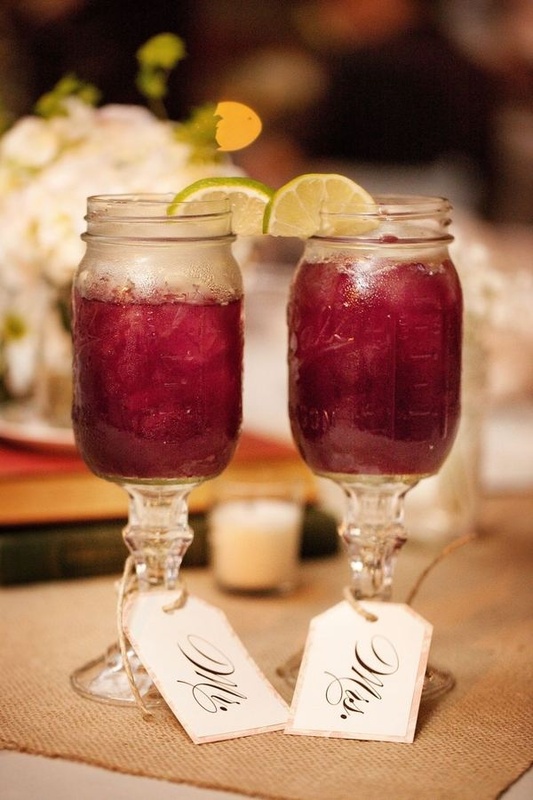 I’ve always loved these glasses and when I found out just how cheap they are to make, I knew I had to have them as my wedding favors! This is actually the only project I have completed so far and I was so impressed with how easy to follow Mavis Butterfield’s DIY How to Make Redneck Wine Glasses tutorial was. I’m not a big fan of the traditional ring bearer pillow, so I set out on a search for something a little more unique. I came across this cute little box on Pinterest and I fell in love! You can find the DIY tutorial here on The Knotty Bride. 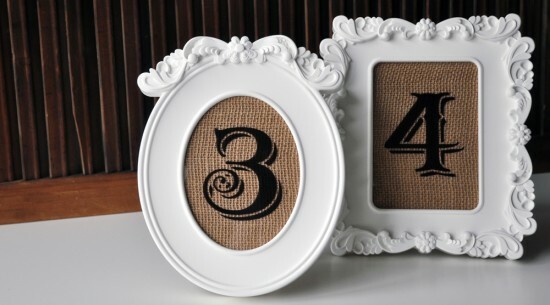 Long before I stumbled upon this tutorial, I planned on framing burlap for our table numbers. When I saw this, I knew it was just perfect! Check out Weddingbells DIY tutorial here. We’re getting married at a beautiful estate in the hills of Temecula Valley. Although beautiful, I have a feeling it may be a little hard for our guests to find. So, we decided that it would be a good idea to create a few signs to guide our guests to the venue. 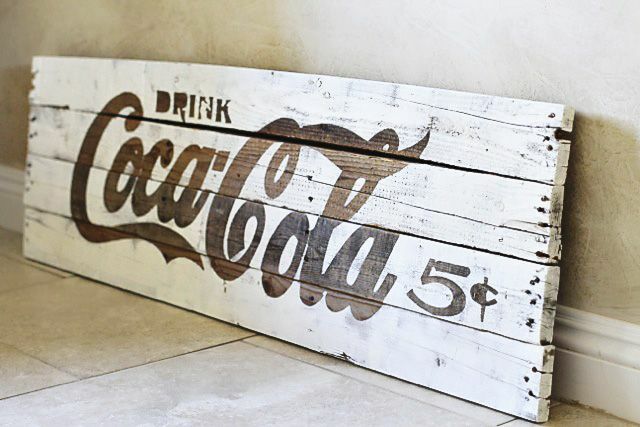 I found so many wonderful tutorials for DIY signs and have decided to combine a couple of them to get the look we’re going for. You can check these out at Lil Blue Boo and the House of Smith’s. This may be a little weird, but I love chalkboards and I am so excited to incorporate them into our big day. We plan on using chalkboards through out the wedding and I found the perfect tutorial on how to make our own on the Lisa Leonard Blog, check it out here!